This entry-level trimmer feels like first class. 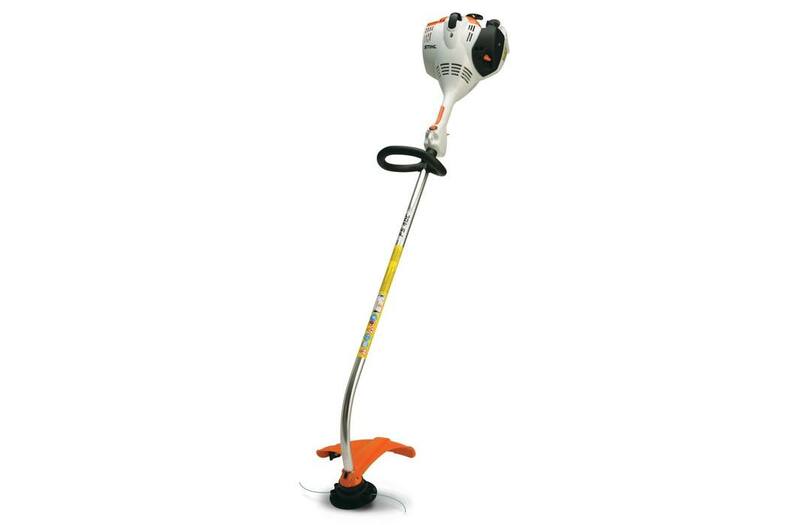 The STIHL FS 40 C-E trimmer is lightweight, balanced in hand and features a curved shaft for exceptional handling. And that's just the outside of the trimmer. Inside, the low exhaust emission and fuel-efficient engine is ideal for home use - putting grass and weeds to rest with good cutting power. This grass trimmer also features our innovative Easy2Start™ technology, so you can get started with just a simple pull of the starter cord. Together it makes for one fantastic deal, unless you're a weed. Simplified Starting Procedure: To get started, simply pump the fuel primer, set the choke and pull the starter cord. The built-in stop switch allows the user to turn off the engine with a simple press of the button. When the engine is off, the throttle lock automatically returns to the “start" setting. 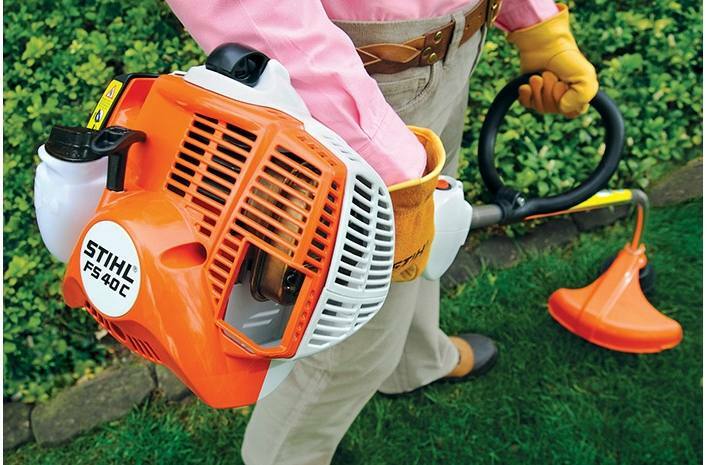 Your power tool will be ready to be started when you're ready to get back to work. : See it in action! 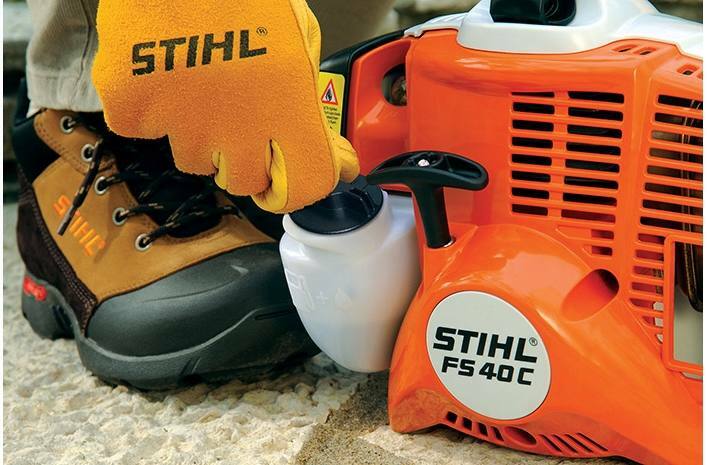 Cutting Heads & Blades Selection Chart: Need help selecting a cutting head or blade for your STIHL trimmer or brushcutter? : Click here to view the Cutting Heads & Blades Selection Chart (PDF Format). 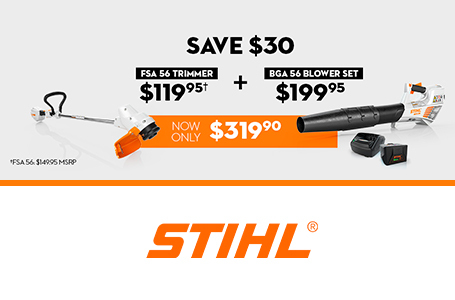 STIHL Easy2Start™: The STIHL Easy2Start™ system makes starting STIHL outdoor power tools almost effortless, eliminating the need for a strong pull of the starting cord. 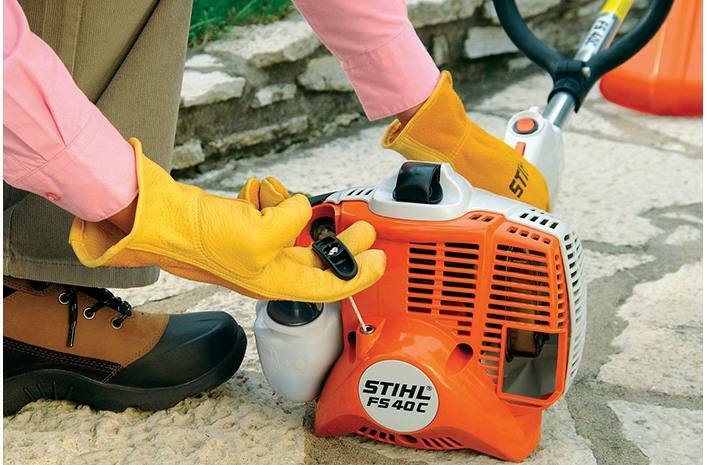 This advanced starting system is designed to make starting STIHL products easier. The specific system may vary by model, but in each case, a quick pull overcomes the engine's compression to minimize the strength and effort required to start. Available on selected products. : See it in action! * Weight without cutting attachment or deflector.